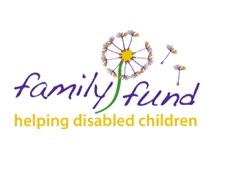 Family Fund is the UK’s largest provider of grants to low-income families raising disabled or seriously ill children and young people. Our relationship with Comodo began when we trialed and bought the Antispam Gateway to reduce the amount of unsolicited email we were receiving. In March, we contacted Comodo’s Business and Enterprise Support Team as a number of our users were unable to send any email through the Antispam Gateway’s outbound email filters. A brief investigation revealed that those user accounts were attempting to send two to four emails per minute and as a result Anti-spam Gateway‘s sending limits had locked those user’s accounts. Upon further investigation we discovered that our existing anti-malware provider had allowed those user’s computers to become infected with a spam-sending virus and Antispam Gateway had stopped those user’s email accounts from sending further emails. This saved a lot of time in applying to blacklist management databases requesting removal from their blacklists which would have affected all our work and communication with various stakeholders including families, donors and suppliers. Comodo, understanding our need for urgency, responded to our predicament in a matter of minutes. Having accepted their Endpoint Security Manager anti-malware management solution as preferable alternative to our existing solution, it was merely a couple of hours before their support technicians, having being given remote assistance access, had Endpoint Security Manager installed, configured and running on our network. A demonstration of how to deploy the management agents, create and deploy the anti-malware agents and create and manage our computer groups and policies also helped. Endpoint Security Manager has proven itself to be a solution which helps minimise risk. An added benefit has been the product’s system administration capabilities, not found in products we have previously used, given a quick resolution to day-to-day requests for assistance we receive from our users.